Are Froome and Sky plotting an ambush to win Giro? With two big mountain stages remaining in the Giro d'Italia, Team Sky is setting up a new strategy to ambush Yates for the win. PRATO NEVOSO, Italy (VN) — Two years ago, Chris Froome lost the 2016 Vuelta a España when he got caught in a Spanish ambush late in the race. Now with two hard mountain stages left in the 2018 Giro d’Italia, Froome and Team Sky are quietly plotting to pull off a heist of their own. Following Tuesday’s strong time trial and another surge Thursday, Froome is scraping his way back into podium range in fourth at 3:22 back. Sky, however, is looking beyond the podium. The team believes if a few things go its way, it could still pull off the miracle finish in Rome. Just look at what happened Thursday. 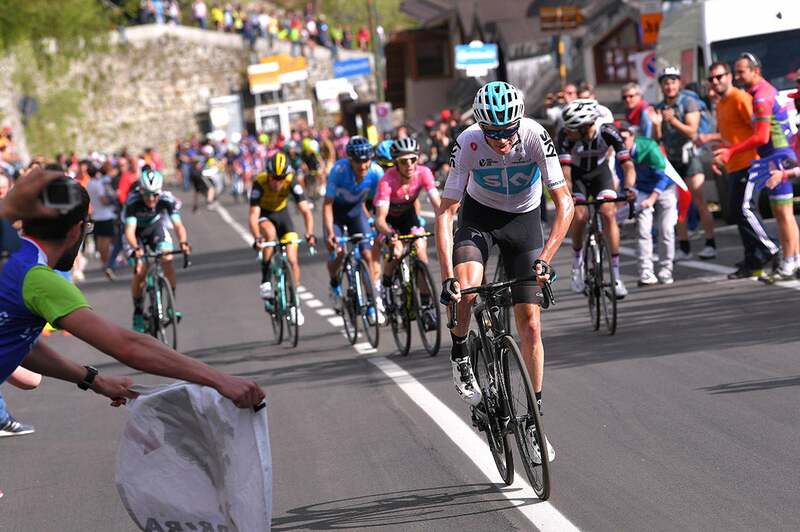 Sky’s Wout Poels snuck up the road with about 8km to go on Prato Nevoso, and helped tow Froome when the four-time Tour de France winner came across. 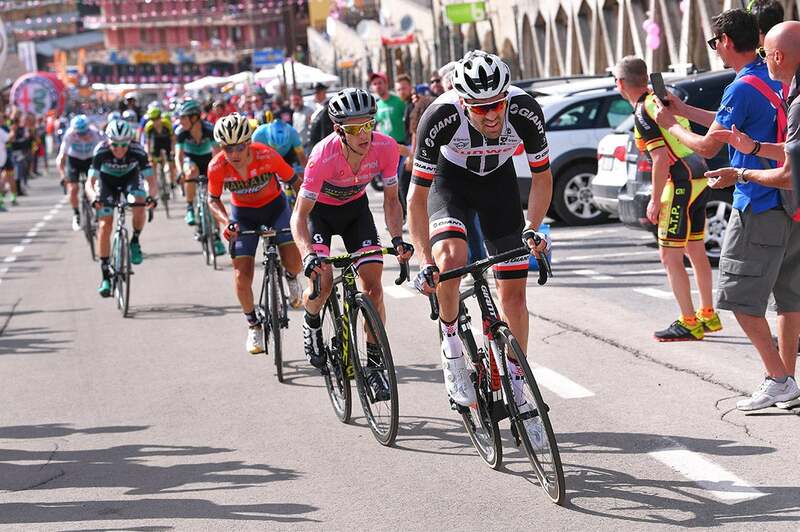 Giro leader Simon Yates (Mitchelton-Scott) revealed the first signs of a crack in his otherwise impenetrable façade when he ceded 28 seconds to Froome, Tom Dumoulin (Sunweb), and Domenico Pozzovivo (Bahrain-Merida). This is an unfamiliar style of racing for Sky. Normally by week three, Sky pulls up the walls of Fortress Froome and tamps everything down. Now Sky must change its script to try to win. Sky’s first hint of its new aggressive strategy came almost unnoticed in Wednesday’s lumpy transition stage to Iseo. As Garate pointed out, Sky tried to sneak Poels and Elissonde into an early break. Mitchelton-Scott was forced to chase it down, and the day’s main breakaway Wednesday didn’t pull clear until after more than 100km of intense racing. A lot of things have to stack up for Sky to catch out Yates and for Froome to win the Giro a-lá Formigal. First off, Froome needs to prove he has the legs to seriously drop his rivals. So far, he’s been fighting and scraping to stay close, but he has yet to produce a race-changing performance. 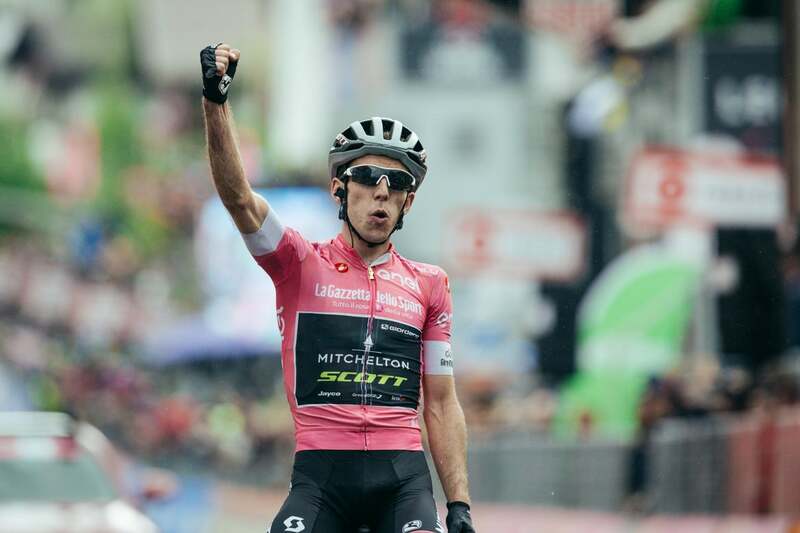 His victory at Monte Zoncolan in stage 14 momentarily revived his chances only to see him fade again the next day to Sappada. Since it’s unlikely that Froome has the form to ride everyone off his wheel, Sky is trying to get creative. The scenario in these closing stages of the Giro is quite different than Formigal, but the opportunity is there. Friday’s and Saturday’s stages are longer than Formigal’s explosive 118km — 184km and 214km respectively — but each stage is laden with big climbs and challenging unpredictable transitional terrain between summits. 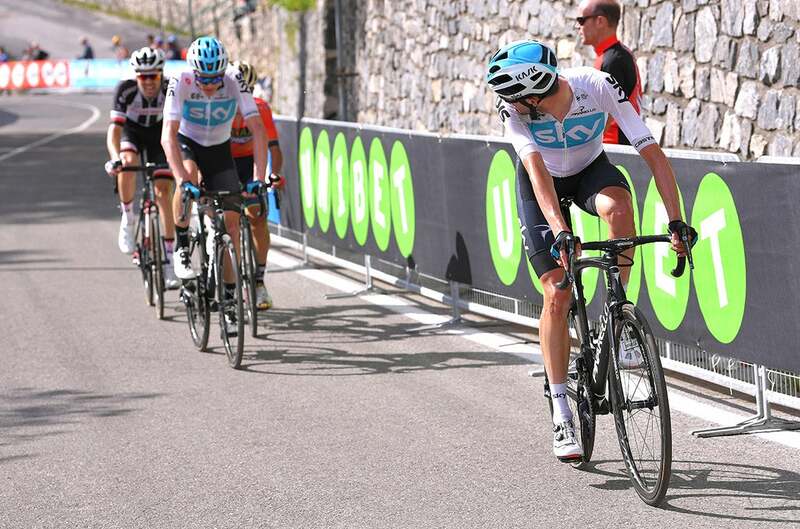 Team Sky knows the best way to gap Yates won’t be on the climbs, where the Englishman defends well, but rather tactically on the flats and valleys. So watch for Team Sky to front-load Friday’s stage and have men on the ready up the dirt Finestre climb midway to Bardonecchia. Froome and Sky won’t be able to pull off their own “Formigal-style” ambush alone. They have strong accomplices in the form of Dumoulin and Pozzovivo. The Italian is quietly hanging around the third podium spot at 2:43 back while the defending champion clawed back even closer to pink at 28 seconds back. Other stage-hunters will hungrily grab the wheel at the first hint the race starts to blow up. Now that there’s blood in the water, everyone will be ready to pounce at the first sign of weakness. The ghost of Stephen Kruijswijk is hanging heavily over Yates. He doesn’t want to choke in the same spectacular manner that the Dutch rider did to lose the 2016 Giro on the final weekend. Mitchelton-Scott must brace for the inevitable attacks in the final two mountain stages from their direct rivals. Yates defended his aggressive racing style so far in the Giro despite his hiccups Thursday. Some have wondered if he’s gone too deep too soon and won’t have the legs to hang on in the final week. Yates is now in a desperate chase to hang on. If he can slam his rivals Friday, he should be able to withstand the storm Saturday. If he reveals more cracks tomorrow, the Giro will be wide open. Of course, it’s not just Yates that Froome and Team Sky need to get rid of. Pozzovivo is stubbornly robust and Dumoulin is much more resilient than when he was similarly ambushed to lose the 2015 Vuelta to Fabio Aru. In fact, it’s Dumoulin who is first in line to benefit from any Yates collapse. Either way, Froome promises to go down swinging. Sky is trying to pull off what could be its biggest heist in franchise history.